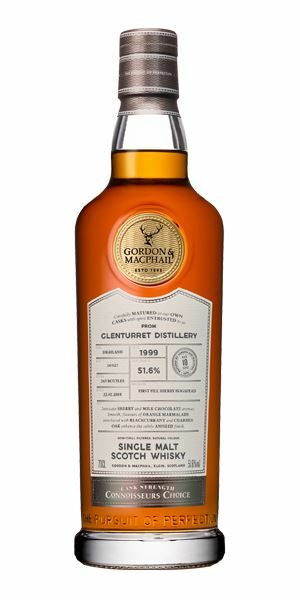 It’s another sojourn through Speyside this week with a rogue Highlander thrown in, as Dave Broom embraces a gaggle of Glenrothes (Glenrothii?) bookended by Craigellachie and Glenturret. First to Craigellachie and a G&M bottling of a 1991 vintage which at 56.5% abv delivers a ‘fairly poky nose prickle’, and renders the potentially floral and waxy elements indistinguishable. Venturing now down the A941 to Rothes, where a quad of Glenrothes at various stages of maturation piques Broom’s interest. He’s starting to enjoy exploring a distillery’s character at varying ages (see last week’s Caol Ila extravaganza). First up a nine-year-old bottled by Valinch & Mallet, which with its malty cereal, condensed milk and dried orchard fruit qualities makes Broom sit up immediately. ‘Very impressive for a young ‘un,’ he says. Following closely is an 11-year-old, again by V&M, which shows the strong impact two additional years in an active cask can have on a whisky. Waxy, Sherried and chocolatey, it’s a hit, in more ways than one. 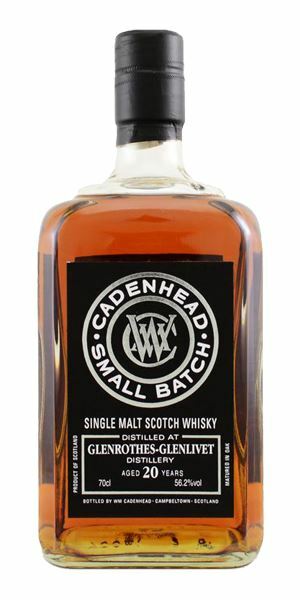 Indie bottler Cadenhead steps up to the plate next, with 20- and 21-year-old bottlings, distilled in 1997 and 1996 respectively. Is there much difference between the two? A fair amount, as it transpires. If the younger of the pair shows promising dark berry fruits, if not a little too much restraint, the elder is awash with flavour on the palate. 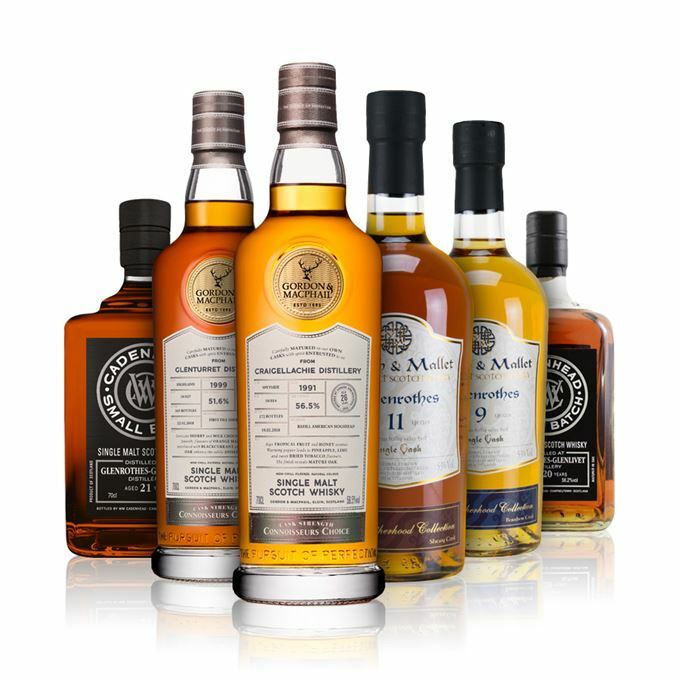 ‘An utterly delicious mature Rothes,’ Broom summates. Check out the Spotify playlist that accompanies this week’s reviews, featuring Tom Waits, Al Green and Sonic Youth (links are found in Right Place, Right Time). A fairly poky nose prickle with some heavy florals behind, suggesting dew-soaked jasmine in a walled garden. There are some oily elements in there as well, a touch of spruce tips, but the alcohol makes things indistinct and blurry. Water adds in plasticine and putty and although there are more of the fleshy fruits you associate with the distillery – tinned pineapple especially – that clay-like solidity still hampers its expressiveness. There’s better distillery character here, with some burnt notes that could be the distillate’s sulphur easing back. The mid-palate is thick with lilies, but the strength remains a barrier. Water brings out more of a crayon-like waxiness, along with apricot fool, but also tightens the finish. Saved by the mouth-filling texture. Some malty cereal: well-fired shortbread and burnt pastry with coffee bean and condensed milk behind. It grows slowly in classical Rothesian fashion, adding in coconut flesh, brioche and lemon. The same pattern is repeated when water is added: malt bin elements emerge to start, then celery seed, light peach elements and a lessening of cask influence. The sweet cereal so typical of the younger ‘Rothes emerges first and then it starts to bloom towards the mid-palate, picking up fruits and spices as it goes, in this case nutmeg, dried orchard. There’s just a tiny hint of soapiness on the tip of the tongue, but as it develops you get a balanced mix of light char with those big and buttery fruits. Dilution shows the soapiness again, but also more red fruit compote and millionaire’s shortbread. More berries, now with extra vanilla. Very impressive for a young ‘un. Has the same hugely satisfying swell as the Hammond break on Al Green’s Love And Happiness. Big and heavy with considerably more Sherry cask influence, all rosin and dubbin, with light raisin and milk chocolate behind. It develops into blackberry with a distinctive waxed cloth quality – a cooper’s oily apron. With water, there’s some moustache wax and oloroso notes of walnut and dried fruit. This shows what an active cask can do in a relatively short time. There’s a prickle of spicy long pepper to start off with, allied to fennel and coriander seed, with the fruits slightly hidden. In time, the Sherry hits and the chocolate turns to cacao. The addition of water slightly flattens the overall impact, although the mid-palate remains unaffected with masses of raisin and date. Personally, I prefer it neat. Cask-driven, aromatic, and serious. Recommended for those not afraid of big impact whiskies. Walking that road in Boots Of Spanish Leather. Quite a different aspect to this shape-shifter of a dram. Now there’s the impression of a walk through slightly dusty woods, there’s a slightly melancholy air to things: orris root, wormwood, and first-flush Darjeeling. The initial impression is of a whisky closing down rather than expanding into its next phase of life. Water brings out more of this impression of dust on hedgerow fruits. There is, however, a complete change when it comes to the palate. The rich, dark, wild black fruits hinted at on the diluted nose are front and centre now, along with fruitcake and black cherry, some of the bitter edges of Seville orange, and light spices. It’s perhaps a little tight, and though the dusty element is restrained, by the back palate there’s a distinct tension in the air. With water you get more mature notes of furniture polish, old paper, rose petal, toasted almond, red pepper and more of the black fruits. Spicy and clean – if a little short. Another Sherried example, but one you need to wrestle with to get the best out of. He found himself stuck between The Briar And The Rose. Initially, this is the least overt of the quartet in terms of aromatic expansiveness. In time there’s peppermint sweets and a clear mature richness. 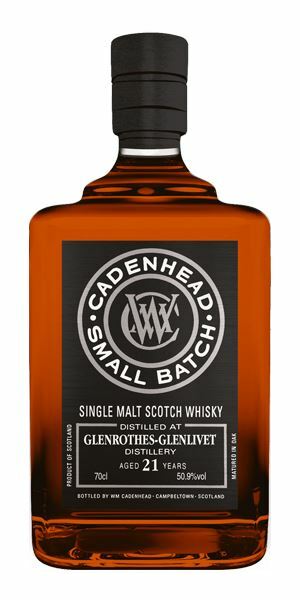 Give it time (this is ‘Rothes after all) and you discern how relaxed and comfortable this is in its maturity – a whisky which invites you in rather than bounding about like an over-enthusiastic puppy. There’s cassia, raspberry juice, honey and a tiny touch of waxiness. When a little water is added there’s fruit sponge, vanilla, spice and cereal. The restraint of the nose is swept away in an all-enveloping flow. Sweet hazelnut, pear and almond tart with some cream, a light bite of citrus, even some mashy notes, and by the mid-palate ripe black fruits, then toffee. With water, there’s more of a singed element, some heavy perfume, mocha, then nuts and ever-thickening fruit. Finally, the spice comes through. 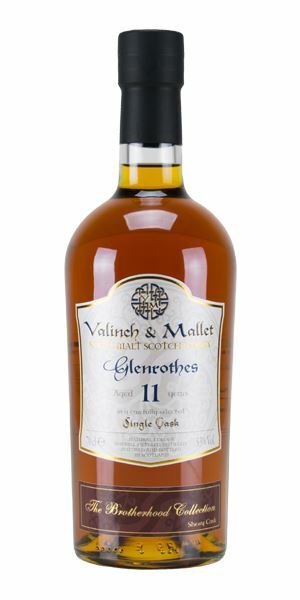 An utterly delicious mature Rothes that is comfortable in its own skin. Now, this is strange. The first impression is of mince (with carrots), chicken stock, then comes sultana, almond, and a bruised fruit note. As it opens, so you get spices being roasted in a hot dry iron pan and warm, damp bracken. It becomes more conventional with water: fruitcake and black cherry. There’s chestnuts to start with, then comes a big and tongue-coating mid-palate that has pricks of cayenne, light coffee, and fresh hazelnut. The Sherried elements come through later adding some grip. It becomes sweeter with water and finally hits a good balance between pot pourri, gingerbread, dried and drying fruits. Some chocolate and Sherry oak. This heavy side to Glenturret is unusual. Showing its versatility for potential purchasers? As unlikely as a Drunken Butterfly.